Whether for business or personal use, immediately stand out and demand attention with Stamped Foil postcards. 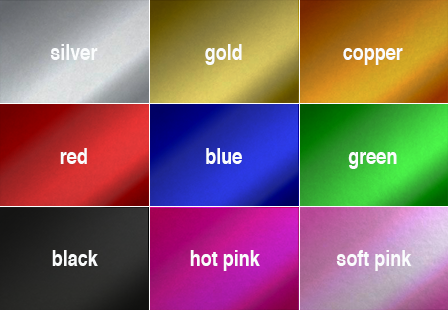 Apply one of the following metallic colors on one or both sides; Gold, Silver, Black, Red, Soft Pink, Hot Pink, Blue, Green, and Copper. Create an even more eye-catching design; our Stamped foil postcards are available with or without Spot UV, rounded corners, and other printing options. Select from a large selection of sizes to meet your needs. 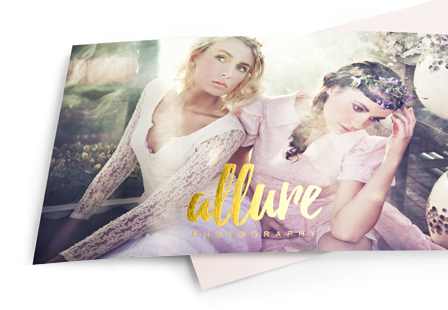 From business marketing to party invitations, we’ve got you covered with premium stamped postcards. Lamination: Soft touch dull lamination applied to both sides of the card after printing increasing the thickness of the card to 19PT. Stamped Foil: One color of stamped foil may be applied to either 1 or 2 sides of the card. Please Select 4" x 6" 4.25" x 5.5" 4.25" x 6" 5" x 7"